It’s the dawn of a new era for Concordia football. After the team failed to register a win last season, the Stingers have cleaned house and begun anew with a different coaching staff. Former Stingers linebacker Mickey Donovan is at the helm, and the new bench boss has wasted no time in putting his players in fighting shape. The Stingers haven’t had a winning season since 2008, when the team finished with a 5-3 record and reached the provincial championship game, and while their ultimate goal is to win a championship, the players remain realistic. With players like Quinn Smith, Max Caron and Kris Bastien, and starting quarterback Reid Quest gone from the squad, the Stingers will look to new leaders such as slotback Jamal Henry and linebacker Mikael Charland, in the hopes of restoring former glory to Concordia football. “We went 0-8 last year and we’re setting the pace for the future, to make guys want to come here,” he concluded. 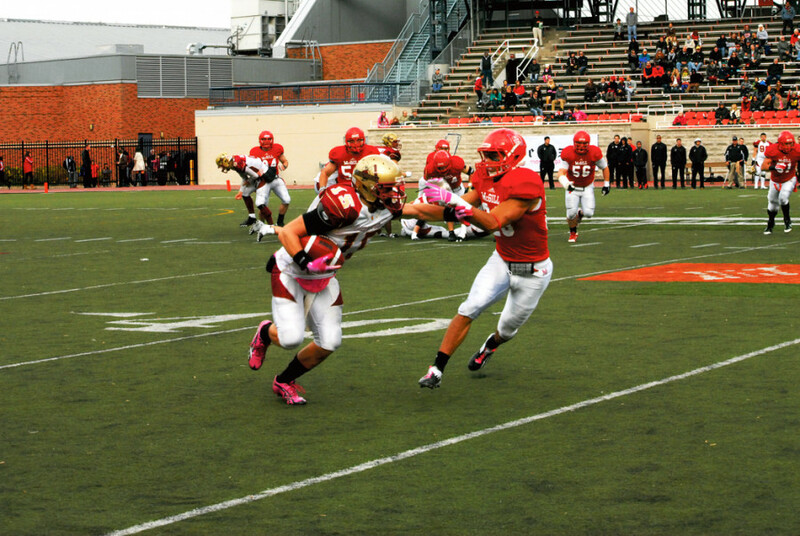 The Stingers begin their football season at home versus Bishop’s University on Sept. 6 at 1 p.m.